Whether you’re buying a house or selling your home, you need to understand that the process won’t happen from one day to the next. Hopefully, you hired a great real estate agent to guide you through the process. 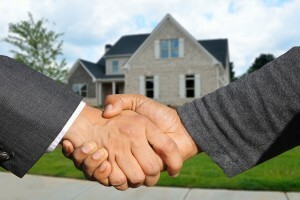 Your agent should promote your home, help you find a house, and negotiate a great deal. It might be possible that your agent isn’t giving you the results you expect or that your relationship with them isn’t what you wish it would be. You should know that you don’t have to work with them if you don’t want to. It is possible to break up with your realtor. Not sure if you should? Here is a list of signs that prove you need to get someone new. Plus you’ll also find out how you can do it. Poor presentation: A real estate agent is a professional and they should look the part. No one is going to take seriously a person who shows up if flip-flops, cap, and shorts…even if it is the middle of the summer. Overworked: You know an agent is good when they have multiple clients, but you don’t want your agent to be overworked. Having many clients at the same time can make the agent do a lousy job just to reduce their list. Ignores your calls: It might be a consequence of their many clients, or they just don’t want to talk to you, but your agent should be available when you call them. You do need to call them within reasonable hours though. You can’t stand them: You should have a pleasant relationship with your agent. But if you cringe at the idea of meeting up with them, let them go. You’ve got no business working with someone you can’t stand. No results: You should be able to see some results within the first month. If you don’t, your agent isn’t doing a good job, and you should say goodbye. Bad advice: A realtor should steer you away from bad deals, not guide you into them. If your agent suggests you take a lowball offer or that you lowball a client, don’t do it and get a new agent. Your realtor shouldn’t guide you towards the most common lowballing mistakes. Doesn’t disclose information: There’s some information your agent is obligated to disclose. If they hide this information, they’re not ethical or true professionals. You shouldn’t be doing business with them. Doesn’t care about your security: Your agent should suggest different types of insurance to make your home safer once your offer has been accepted. They should tell you about the most important policies, including title insurance. There are plenty of reasons why you need title insurance in Fort Myers, learn about them when you call Schutt Law- Title Insurance Agency at (239) 540-7007. If you hired an agent to help you sell your home, you’re going to have a bit of trouble letting them go. In these cases, you sign a contract. The contract states the amount of the agent’s commission once the house sells and the duration of the agreement. Try to make your contract as short as possible so you can have the opportunity not to renew the contract after it’s over. But before you commit to that agent and sign any papers, you should ask them what will happen if you’re not happy with their services. Is it possible to end the contract early or do you have to wait until its end date? It’s easier to terminate an agreement early if you can prove your realtor isn’t fulfilling their promises. If your agent works with an agency, maybe you can ask for someone new. It simpler if you hired your agent to buy a house. You didn’t have to sign a contract, and you’re not the one that pays the agent. You see, the selling and the buying agent split a commission from the proceeds of the sale. If you don’t want to work with your agent any longer, you can simply let them know. If your agent did help you find your dream home, it’s time to protect that major investment with title insurance. The title insurance process is quite simple, and it all begins with a call. Contact Schutt Law-Title Insurance Agency at (239) 540-7007 to request a policy.